Thanks for the comment and question, Paul. The European market certainly has more diverse content than the US market and there is a traceable reason for this (actually two, but I'm only going to get into the first one here). 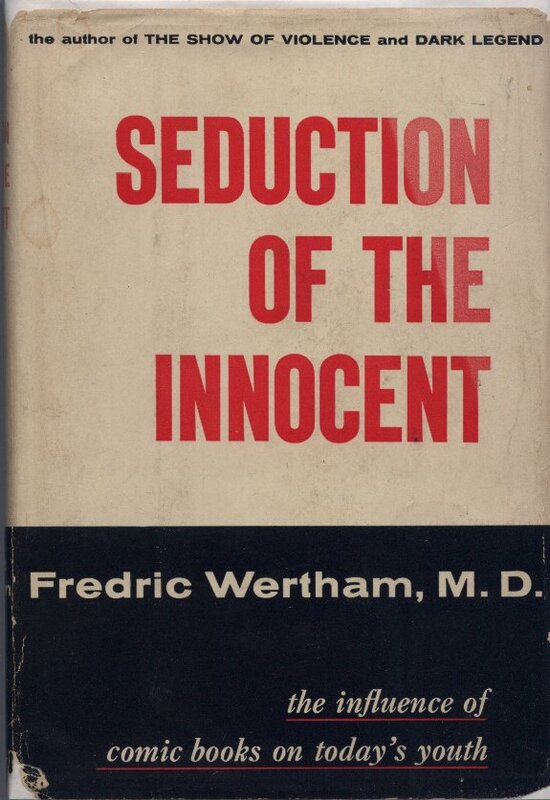 It all goes back to perhaps the greatest super-villain comics has ever seen--Dr. Frederic Wertham and his book "The Seduction of the Innocent." 1. 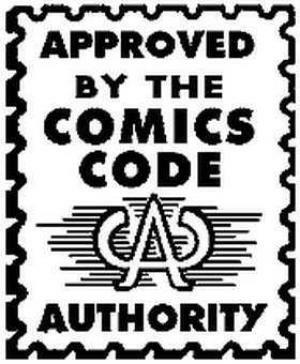 The Comics Code Authority was founded. Not a bad thing on the surface, but the comics code decided to eradicate "subversive" kinds of content--doling out very specific kinds of restrictions on what could be published in comic books--and most retailers wouldn't carry comics that weren't approved by the code. 2. Public outcry against comics was huge. Forcing publishers to be very careful about what the published and constantly making sure that characters were happy and kid friendly. 3. Talented creators left the comics community. What does this all have to do with super heroes? Prior to the 1950s, super hero comics were popular, but by no means dominant. War comics, crime comics, horror comics, and romance comics were among the most popular on the stands. Believe it or not, in the United States, comic book readership was split 50/50 between men and women prior to WWII. But when Wertham's book came out and he went on a tantrum, he stated--and the public bought into it--that war comics encouraged violence, crime comics encouraged thievery and crime, and romance comics encouraged sexual deviancy. The code took all of that into account and all but made those kinds of comics impossible to publish. So, almost overnight, horror, crime, war, and romance comics disappeared from the American market place. This cut off most female readers, and most adult readers. So how did super heroes survive if the others couldn't? That's simple. They had to change. As depicted here in Batman's first appearance, Batman did not just arrest criminals, he would often kill them. He was dark, mean, and the comics were violent. ...and Batman takes on brighter colors, is partnered with a teenage side-kick in even brighter colors. Crime becomes fun to fight with equally colorful characters! Batman and Robin are all smiles and banter--no real sense of danger at all anymore. They have a strict moral code not dissimilar to the Comics Code Authority itself. ...we don't really see him again until 1986. 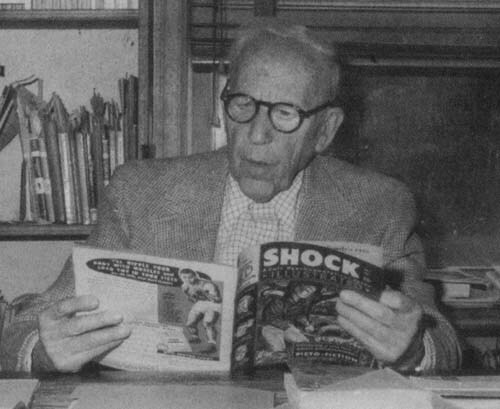 Enough time has passed that Wertham is no longer a direct concern. The Direct Market (distributing comics to specialty shops on a non-returnable basis) is well established. 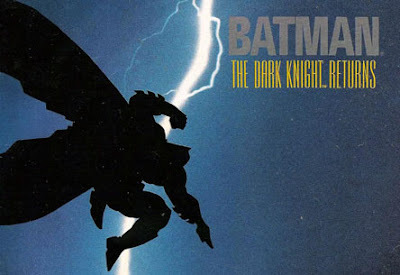 And DC Comics puts out BATMAN: THE DARK KNIGHT RETURNS. While the title fits the story about Batman in his sixties and getting forced out of retirement to return to the cowl, it's also fitting because it's a return to his original form in many ways. This is the grittiest Batman has looked since before 1950. The comic did NOT carry the Comics Code Authority's seal of approval. While the CCA's power is almost non-existent now, the damage was done. Between Wertham's assault on an unsuspecting industry and then the conversion to the direct market, Super heroes became and will likely remain the dominant genre in the American comic book market place. A note of clarification: the reason the direct market cemented this is that the comic fan base was shattered by Wertham--allowing only super heroes to survive. When the distribution model changed, it became very difficult for comics publishers to reach out new audience segments. How could they convince someone who wasn't a super hero fan--and therefore a comic reader already--to make a special trip to a comic book shop to try a new romance comic? Or crime comic? Or anything comic? And the super hero fan base grew up with these characters. And it's only become more difficult to get new readers into shops and to get other genres to become viable. The good news is some headway has been made. We've recently seen both crime and horror comics make a small comeback. 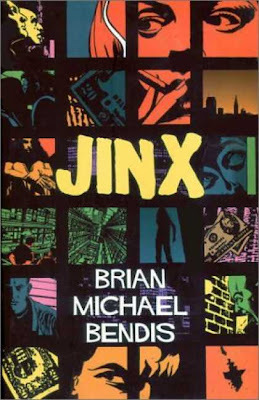 Thanks to the work of comics writers like Brian Michael Bendis with his books TORSO, JINX, GOLDFISH, and then his crime/superhero mash-up POWERS, he's almost single-handedly reinvigorated the crime comics market, even if he doesn't do a lot in that genre himself anymore. And books like SANDMAN and more recently 30 DAYS OF NIGHT have helped the horror genre gain a real foothold in the current comics market place. 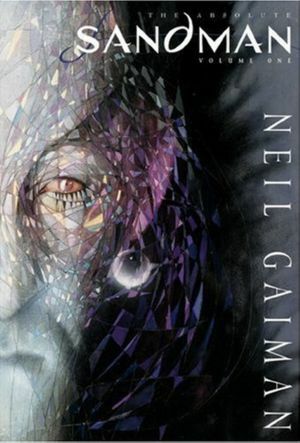 Again, these comics were driven by strong creators like Neil Gaiman in the case of SANDMAN and both Steve Niles and Ben Templesmith for 30 DAYS OF NIGHT. 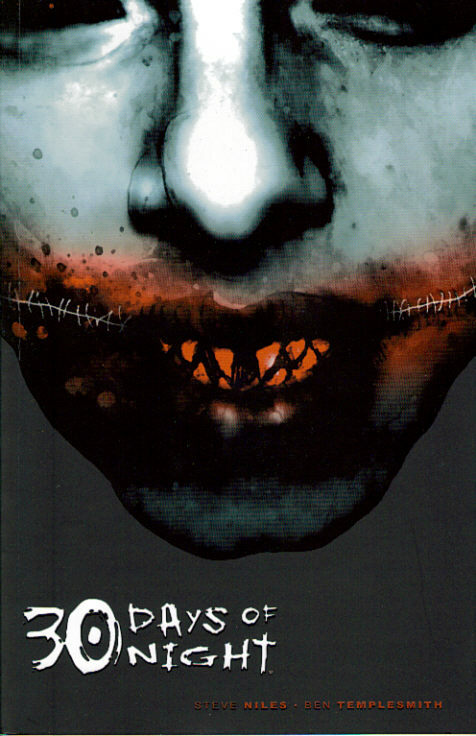 And DC Comic's Vertigo imprint has continued to give horror titles a place on shelves. I'll talk about the Direct Market's influence over comics content in a new blog soon. So, Paul, I hope that answers your question. That was so interesting! Thank you so much for such detailed, historical background. The subject of the U.S. comics market is very interesting. I wonder, however, if the market for new genres is already extant, and only awaiting opportunists to take advantage of it. I personally wonder often that if one could afford a good marketing budget and distribute through retails book stores (Before they close! 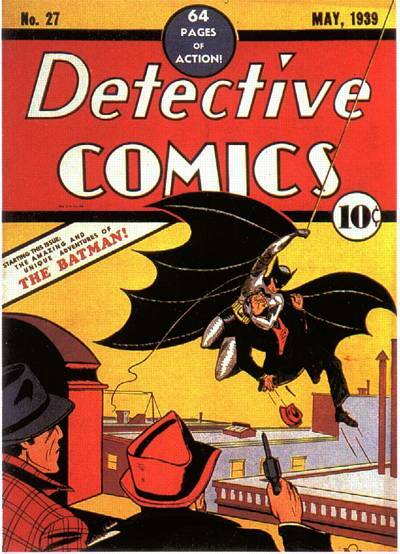 ), one could successfully re-introduce new genres of comics to America. Who knows, if the retails stores got behind it, it may even revive their business. Of course, there's always digital distribution, which, as you said, is the inevitable end to this chapter in comic history.